The 1st schedule of the shooting of Ramcharan – Sukumar movie being produced by Mythri Movie Makers was shot from 1st April in the surroundings of Rajahmundry in exotic natural locations which were never exploited before. The producers of the movie have expressed their happiness with the progress during this schedule since almost throughout the schedule the shooting started by 6 am or before. This was made possible as the Hero and the entire team were ready at the locations every day as early as 5 am. This film is being made as an out and out commercial entertainer with the hero taking up a challenging character. A short 2nd schedule was planned from 9th May onwards in Hyderabad to be followed by a major schedule in Rajamundhry surroundings in the month of May itself. After completing the Hyderabad schedule, due to extreme heat conditions with temperature touching 45 to 47 degrees in Rajahmundry a decision was taken by the production house to postpone the shoot to avoid exposing the artistes and the technicians to the extreme heat. The producers did not want to take any chance keeping in mind that Samantha already suffered a sunstroke in the earlier schedule. The team has now planned to proceed with the shooting in full swing from June 1st onwards in Rajahmundry surroundings. An introduction song is being planned in huge sets on a massive scale on the banks of river Godavari. Subsequent schedules will be shot in Hyderabad in specially erected sets. 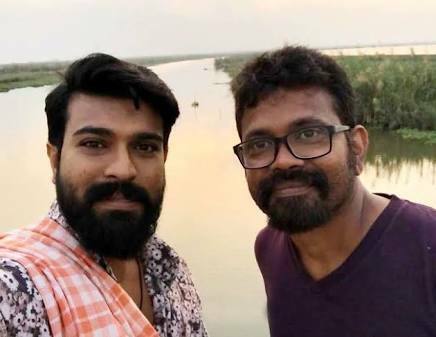 The producers want to ensure that enough time is given to the team so that a perfect quality output which is highly anticipated from the Ramcharan – Sukumar combination is delivered to the audience. The producers plan to announce the release date only in the month of August. A stellar star cast including Jagapathi Babu, Prakash Raj, Aadi is working in this film.